What a great intimate day of working with good people with their beautiful ex racehorses. An educated and focused audience had the opportunity to ask all of their questions and gain valuable advice on the retraining of their horses. I did my best to speak one on one with every attendee. We worked with 5 different horses on the day ranging from one off the track who hadn’t been handled for 6 years through to a grand pre dressage/ A grade show jumper. A fantastic cross-section of horses and a spectacular environment at the glorious School Creek Equestrian Centre in Kangaroo Valley, no doubt one of the most beautiful locations in Australia. A perfectly sized round yard sits in a wonderful natural amphitheatre of comfortable grass hills, perfect for a blanket or fold up chairs, to the right an immaculately groomed dressage arena bounded by forest on three sides acting as wind breaks to create a still and tranquil riding area, to the left lush green drought proof paddocks with post and rail fences. This is where you want to keep your horse. I’m sure we have all heard the house building analogies, “If you build on sand, you can build a hut. If you build on solid foundation, you can build a sky scraper.” How true that is when we are working with horses. Every good instructor I have had has said the same thing. I have read it in every good book, I say it to every one of my students and at every clinic I run. Have I lost you yet? Are you thinking I’ve heard all of this before? Often when faced with the realisation of the fact that they have neglected this basic, yet imperative principle, riders refuse to acknowledge their shortcomings. They try every kind of gadget, they blame backs, teeth, saddles, feet and use a million other excuses but eventually, if they are honest with themselves, they will have to draw the same conclusion: they didn’t build the foundation, they have built a house of cards that is destined to collapse at some stage. Let me go over it again. Take some bricks and pile them one on top of the other and see how high you can make the pile. You may get to a metre and a half but eventually the pile will topple over. Start again, take the same bricks and build a base one-meter square. Cement those bricks together then build the next layer 950 cm square and cement it again. You can imagine you might build a tower several metres tall on your second attempt. Understandable that you failed on the first attempt, but you learnt and did better the next time. So if you are able to admit you made a mistake with your horse, you can go back to the beginning and start again, right? WRONG!! The emotional, physical and mental damage done to your horse on your first uneducated, unthinking or rushed attempt can’t be completely undone. Yes, you can go back and try to re-educate him, you can build some of the muscles you neglected the first time around, but he will remember the point where he fell down before and will always be tense when he approaches that place. Be it show jumping, dressage, cross country, racing or any other equestrian sport, there are certain foundations which cannot be neglected lest we pay the price of mediocrity. Look at a dressage situation. Go to a local competition in the preliminary class and there will be 20 or 30 riders. Novice will have similar numbers, in the elementary tests there may be 10 on a good day, then in medium there are three and occasionally there will be two in the classes above. This is my experience in local competitions in Australia. It is very difficult to go past elementary without a solid foundation, this is where it all falls apart. Occasionally horses fake their way forward but if you look, it is usually easy to see their shortcomings. I am seeing Grand Pre horses advertised in Europe for 200,000 Euro that only flex correctly in one direction. Let’s say in your local dressage community there are 200 aspiring competitors. Some will never raise the courage to even get into the arena. There always seems to be one rider who has achieved the lofty heights of advanced or above – lets say one at Grand Pre, they have built the foundation and reaped the rewards. One in 200, that’s 0.05%. So let’s be generous and say less than 1% of riders are building a foundation to reach a serious level. If you have ever had the wonderful experience of sitting on a horse with a real foundation you will know it, you will never forget it and you will always strive to achieve it. Are you in that under 1% who are doing it correctly? I’m sorry to tell you, but I doubt it. So Bazaconi’s journey continues. From day one, I had no doubts that, although Bazaconi was going to be a challenge, I would get him to a point where he could go out and compete. During his time with us, there have been moments when I wondered whether I was right. I had no idea what a challenge he would be. After 300 horses entering and graduating through our program, he has been the most challenging, but also the most educational. 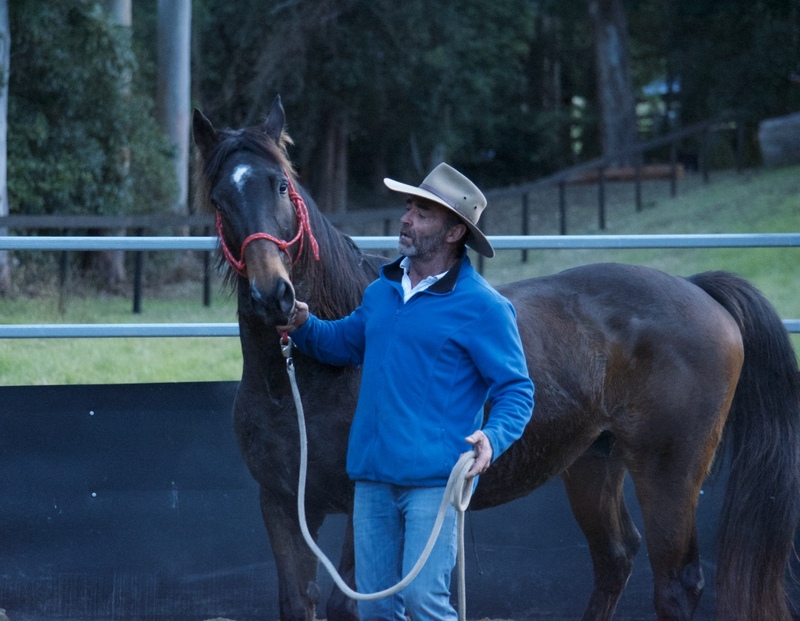 Baz has continued his productive life by teaching people about horses and helping people with all sorts of issues like Post Traumatic Stress Disorder, drug addiction and mental health problems in general to be able to get in touch with themselves and learn how better to communicate. 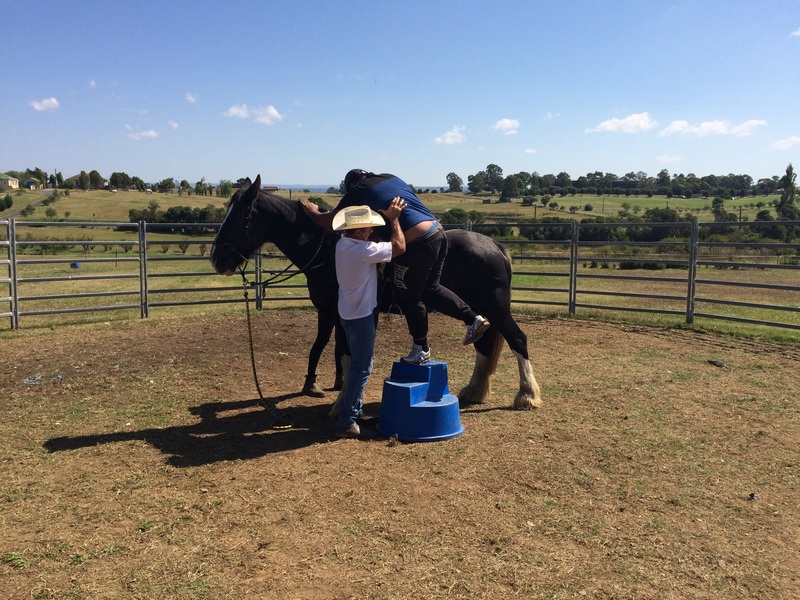 He has been an ambassador for the Thoroughbred Rehabilitation Program. This is all great, but I still felt the need to complete what I had started and that meant getting Bazaconi out to a competition. Baz worked along well and continued to improve with almost every ride. When stressed, he tenses up in his back and threatens to go back to his old ways, but with gentle and consistent persuasion, he can be coaxed back to the moment. I set a target of a small dressage competition for his first outing, not too much atmosphere and no pressure regarding his performance. The day before the comp, Baz gave me the best work he had ever given. To hope for him to achieve this again at his first outing since his racing days was too much, but based on that workout, I felt he wouldn’t embarrass himself. We arrived at the location of the competition with plenty of time to warm up and work down if necessary. Baz was more settled than I expected and with horses cantering around, he could only be thinking ‘races’. It was all he knew and it was his last experience out with so many horses in one place. As he ate his hay at the side of the float, a call went up and I looked around the back of the float to see a loose horse galloping out of control around the warm up area. The horse galloped passed Baz, who did little more than raise his head, the horse did a u-turn and galloped directly towards Baz. I stepped in between them and stopped the runaway and to my surprise, he actually listened to my voice commands. It turned out he was a horse that I had previously done some work with and it was nice to see he remembered his lessons and my voice. It was time to start warming up and I worked Baz in-hand, as I did in every training session. It is important that the routine you use at home is not changed on competition day, particularly at the early competitions, horses are relying on you and their familiar routine for support. Baz worked well in-hand. I mounted and felt the tension in his back immediately. This was no surprise and how he worked through this tension would determine how the day played out. 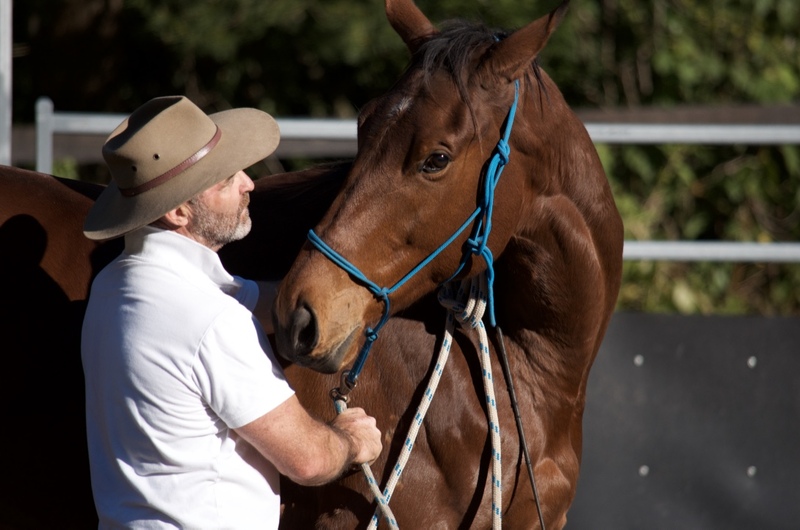 Often riders get on their familiar horse and feel this unfamiliar tension and then become tenser themselves. The trick and skill is to relax, if you don’t, your horse has no chance. Thankfully my days as a Mounted Police Officer and many, many years of high level competition in different sports, makes this ability to relax one of my strengths, but it isn’t one of Bazaconi’s. Each time Baz threatened to lose his cool, I would defuse him by breaking the alignment of his spine, by bending and flexing in a proactive way. Be positive and have purpose, horses want to be led – be a leader. With my help, Baz was able to keep it together and as the day progressed, he needed less and less nursing. I would have to say, it was one of my most technically-challenging days riding-wise, in trying to be as accurate with my aids as possible and not letting Bazaconi’s concentration slip for even a moment, but by the end of the day I could tell that with a few more outings like this, Baz would come to hand. Bazaconi completed the two tests and without taking home a ribbon, I would say it was still a very successful day. He did the best he could for his first outing and I have certainly ridden worse horses. There was a huge sense of achievement, but a realisation that I couldn’t leave it here. What have I gotten myself in for? It was the last day of competition and all that stood between the Australians and the Team Medal were a dozen or so flimsy show jumps. Not quite. Bill Roycroft will ride for Team Gold with a broken collarbone and ribs and still shaky from a severe concussion which had occurred just the previous day. Everything has brought them to this point, Morgan and Lavis, should they ride clear, will take medals. Crago, though out of the competition, has paved their way. Should the Team take a medal, Crago will not be given one as only the top three scores are taken into consideration. He has resolved himself to this and is comforted by his new love, Judith, who has hardly left his side since they met. He has found peace and feels every bit as involved and part of the Team as the other men. Though the door is only slightly ajar, it is still open. If by some miracle Bill Roycroft can get around the course in one piece, the Team Medal is on the table. The chances of Bill riding an Olympic show jumping course, one handed or even making it around, are shaky to say the least. The possibility of him going clear and putting the Australians into Gold Medal position is hardly worth contemplating, that is by everyone but Bill Roycroft. Bill hasn’t come this far not to give his best. Since leaving the hospital, he has been nothing but positive. For anyone who has ever broken a collarbone and or ribs, you will be acutely aware of the pain on the second day. Bill has not mentioned it once. He has supreme focus. There is little doubt Morgan on Salad Days and Lavis on Mirrabooka will perform, they dominated competition the previous day. The equestrian world is in shock at the supremacy of the Australian riders and Thoroughbred horses, the daring bravery of Crago and Sabre, the sublime cross-county rounds of Morgan and Lavis and the tenacity and dedication of Roycroft on Our Solo to finish the cross-country course over the most difficult combinations, after such a terrible fall. At this point, the world is not aware that Bill, with all his injuries, has left the hospital and will ride in the show jumping. The Australian Thoroughbred, what an awesome show of supremacy from a much-maligned breed. For the rest of the world, he is a racehorse. For Australia, he is our horse. 200 years ago some of the first horses off the ships were Thoroughbreds; they are as much a part of modern Australian history as the Convicts. Like the Convicts, they were taken from their native lands and brought to a tough, harsh world, where they needed to turn their hand to whatever was put in front of them in order to survive. Crossed with other breeds to produce the Waler and Australian Stock Horse, they took Australia to war, opened up the inland, and helped build the agricultural wealth of the young country. Now they would stamp their athletic prowess and versatility on the equestrian world. In perfect clear rounds, as expected, Laurie Morgan on Salad Days has taken the Individual Gold Medal. Neale Lavis on Mirrabooka has taken the Silver. The job has been done and the world will take notice. 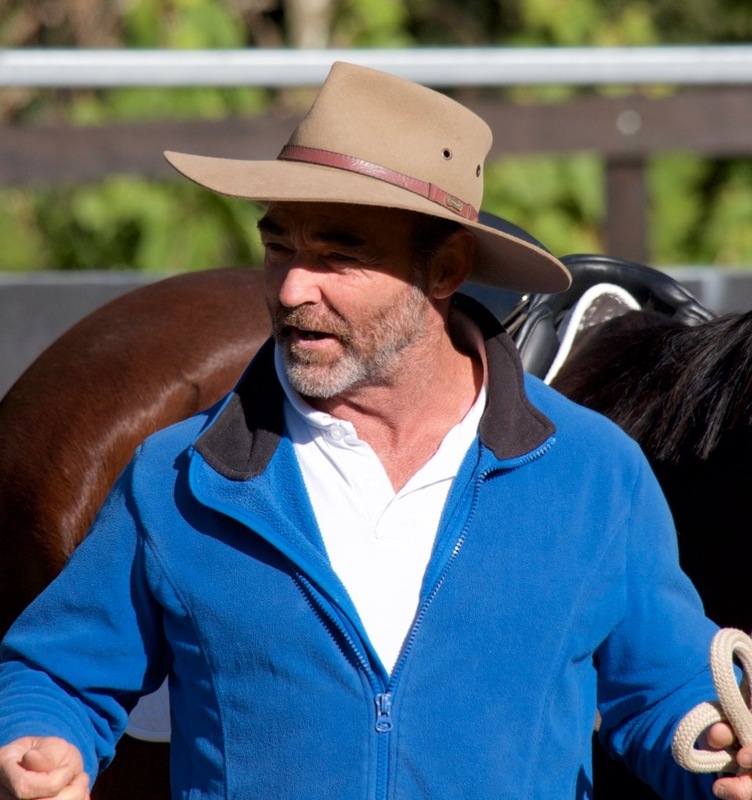 Sam Horden’s dream has been realised and Franz Mairinger will be recognised as one of the greatest equestrian coaches. The announcers have informed the crowd that Bill Roycroft will ride, what a credit to a great man. No one expects him to more than turn up, but the crowd and his mates will show their admiration for the effort, for only hours ago he had left hospital against the instructions of his doctors. In the warm-up area, Roycroft mounts Our Solo. He is sporting a black eye and a grazed face along with his left arm cradled in a sling. Bill Roycroft was swept up in the moment, his good mate, Laurie Morgan, had just won a Gold Medal and his Teammate Neale Lavis, had won Silver. The adrenaline surges through his veins. Regardless of his situation and his injuries, he is a winner and will strive to win. Roycroft enters the arena, time slows down; he is a gladiator about to put his body on the line. For him, there is no crowd, just noise and a blur of movement. Our Solo is with him and is unaware that Bill is not at his best. He is obedient and bold, his nostrils flare and his ears prick. He steps short and sharp, his foot speed is there to be seen, he knows what is ahead and this is his day. Roycroft starts on the course. He is riding one-handed, his broken shoulder in a sling to prevent movement and to discourage any attempt to use it. Solo goes to work, basically he is on his own, he rattles numerous fences, but none fall. Roycroft is in terrible pain and is fairly unstable on his horse as he steers the course one-handed. The crowd is in quiet awe and ride each effort with Roycroft and Solo as they struggle stoically around the course. The crowd is on the edge of their seats. Is the impossible about to happen? The tension has built with every cleared jump. The Australians are in tears, only men that have fought together in the trenches or competed in team sport at the highest level can feel the special love they have for their battling mate at this precise moment. As Roycroft approaches the last combination, blood can be seen seeping through his shirt. He appears weary and in danger of collapsing. He refocuses and Solo moves in to attack the triple combination. Solo jumps the first element well but on landing, Roycroft loses his balance. Solo jumps the second awkwardly; only one more rail stands between the Australians and Team Gold. The take off for the third element is too early, Solo twists his body in the air to avoid contact with the rail and as he clears it, his hind legs strike the rail. It shudders and bounces, high enough for it to fall to the ground. However, on this occasion, it miraculously lands back in the cup. Roycroft manages a smile; he would salute if he had another hand. No one could be more impressed with his achievement. It is truly one of the greatest moments in Olympic history, never achieved before and no doubt never to be repeated again. The Australians had taken on the equestrian world and triumphed. This would be the beginning of an equestrian dynasty, which survives to this very day. Hardly an Olympics has passed since without Australia registering a medal in equestrian events. Franz Mairinger went on to coach every Australian Team until his death in 1976. Bill Roycroft, whose age had been raised as an issue in the first Games, competed at four more Olympics. Bill, and his son Wayne, received the Team Bronze Medal at the 1968 Mexico City Games and the 1976 Montreal Games, making them the first father and son combination to stand on the Olympic medal dais together. Bill also produced 23 Olympic horses, which is a feat that will be hard to repeat. The majority of these horses were sold and a percentage of the money went back into Equestrian Australia to help fund future Olympic Teams. Brian Crago was the only member of the Team not to receive a medal; subsequently the rules have been changed so that all team members receive medals. Crago lived out his life in England where he married and lived happily. 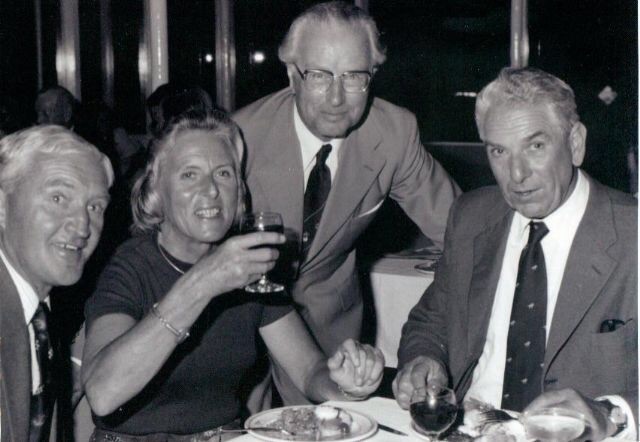 The Gold and Silver Medals of Laurie Morgan and Neale Lavis, matched with the Team Gold Medal, were the greatest moments in Australian equestrian sport. No one would ever again doubt the qualities of the horsemen of the Southern Cross. 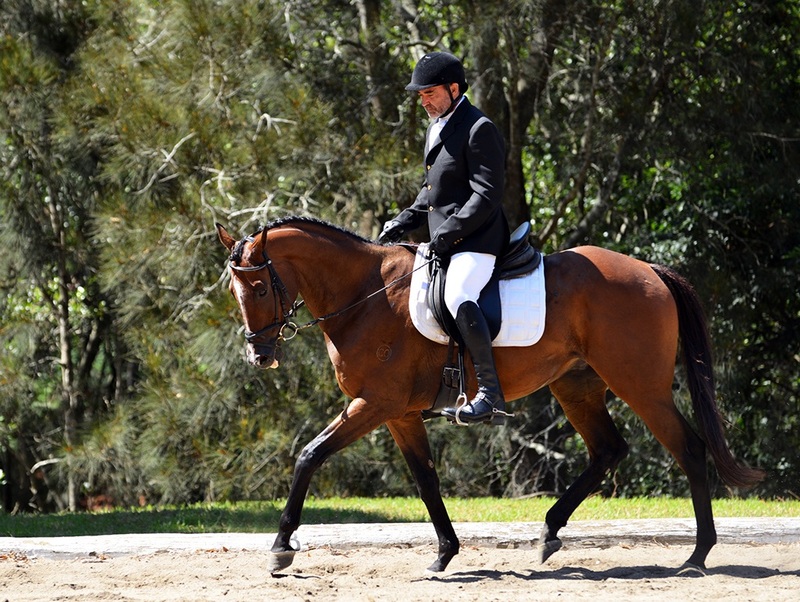 Neale Lavis and Mirrabooka are the next Australians to ride the course. The endless hours of walking then finally running with Mirrabooka will now be put to the real test. He has had minimal jumping since his success at Badminton and today will test the best horses in the world, it is his chance to show he is in that lofty category. Neale feels he has done all he can to have Mirrabooka ready, but this is no longer about Neale and Mirrabooka, this is about his country and his mates. He can’t help but wonder if his pleading to Franz to allow Mirrabooka to take part was the right thing to do, perhaps he should have ridden the reserve horse. But now he is here on his beloved Mirrabooka and they will perform at their best, he will prove to the world the caliber of his Australian Thoroughbred along with the caliber of the Australian horseman. Lavis starts his ride with Mirrabooka at his confident best. It is as though never a day of training was missed, again another fantastic round, the Commentators are in a frenzy over what is without a doubt, the best ride of the day. Lavis and Mirrabooka are also clear and fast on their round. The Team medal is now in sight as riders from other teams struggle with the difficult course. The English Captain, Forbes-Stewart, is about to start his round. His teammates rush up to him to inform him of the route taken by the Australians. With a determined look, he rides onto the course. The Commentators are praising him and his fine round when he eventually approaches the dreaded drop off. He is looking sheepish, but has decided to take the Australians’ lead. He whips his horse, which instantly increases his tempo, and then at the final moment when the Englishman has committed himself to the task, the horse screams to a halt. Forbes-Stewart is almost unseated but manages to regain his position. 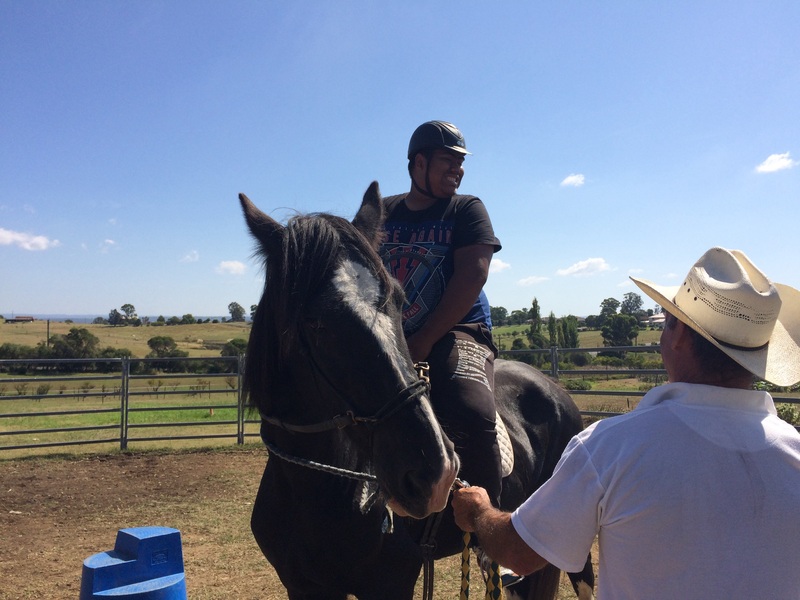 With a look of relief on his face, he turns his horse and rides on to take the longer route to the bottom. Another horse and rider has approached the ravine and launches off the cliff. A close look reveals it is Our Solo and Roycroft. They smash through the bush and onto the lower section of the course. All seems well and the Australians are set to record another clear fast round. Roycroft is now approaching Jump 31, not far ahead up the rise, the complex that consists of Jumps 32, 33 and 34, can be seen. It appears like some carnival oasis on the open brown grounds. A large crowd is gathered there to witness the carnage that has already ended the Olympic dream for many a competitor. Jump 31, though large and very solid, is a row of concrete pipes which is a relatively simple ask for a combination like Our Solo and Roycroft. However, every jump must be shown respect. Underestimation of any jump can get even the best combination into trouble. The following combination of 32, 33 and 34 are daunting and will require every bit of Bill’s concentration. He makes the fatal mistake of thinking too far ahead. Roycroft is certain Our Solo has Jump 31 covered so he continues steeling himself for Jumps 32, 33 and 34. At the last second, the Jump Judge for 31, who has been seated next to the jump, drops his score sheets and they proceed to blow across the course in front of the jump. Without thought, the Judge rushes forward in pursuit of his paperwork. As fate would have it, at this very moment, Roycroft and Our Solo are on the final approach. The movement of the Judge and his fluttering paperwork breaks Solo’s focus. Roycroft, though surprised, is fast to react. He drives Solo on with his riding crop but it is too late, the damage has already been done. Solo’s striding is out and although he attempts the jump, his front legs strike the jump heavily. He lands chest first on the other side of the pipes. The horse’s momentum causes him to somersault forward, rolling over Roycroft, who has not had time to scramble clear. The horse is quick to his feet and stands stock still, apparently in a state of shock. Roycroft is obviously in trouble. He struggles to his feet, stumbling as he does. He appears dazed and his face is cut and grazed, but more alarmingly, blood can be seen oozing from under his shirt. His left shoulder hangs limply by his side. Roycroft staggers to Solo, takes the reins and in obvious pain, remounts one handed. Once on, he sets himself and begins to ride on, slowly at first, then quicker as he gets back to the task at hand. He knew he was in trouble as he was in extreme pain with tunnel vision. He held the reins in one hand and without a helmet, rode towards the imposing complex, which is combination 32 – 34. It has been Roycroft’s intention to ride the straightest and most direct route through the complex, as have the other Australians, however in his current state, riding one handed and with unknown serious injuries, he elects to take the longer and less demanding route. This adds time to his round but he is aware of the time already saved by negotiating the ravine and is now, after his fall, riding for this own pride. Surely the best he can now hope for is to finish the cross-country course. It seems to take an age to complete the complex with the time-consuming twists and turns of the easier options. Roycroft struggles with the pain and the difficulty of controlling Solo one-handed. On a number of occasions he almost falls and at one stage, due to his lack of control, he nearly misses a compulsory element, which would lead to his elimination. Finally they negotiate the last effort of the complex and gallop on to the finish line, where now overcome with pain, Roycroft passes out and falls heavily from Solo to the ground. Marshalls and Medics rush to his aid. There are obviously serious concerns for his welfare. He is unconscious with a medical team working on him and taking all the appropriate precautions for spinal injury. Spectators are seen watching the proceedings and due to his lack of movement, there is real fear that he may have been killed. Roycroft is air lifted to hospital. Laurie Morgan’s round on Salad Days is now all the more important. Four competitors in a team start the course, but only the top three scores are taken into consideration. With Bill obviously out of the contest, there is no margin for error in Morgan’s ride. As Team Captain, he must now put his cards on the table. He has been obsessive about success all his life and now is certainly no different. Lavis and Crago have done their bit for the cause, the entire chance of a Team medal is on the Captain’s shoulders. Pressure is not an issue; Laurie has felt pressure many times in his sporting endeavours, and he called on all of those experiences today to give him an attitude of invincibility. Morgan and Salad Days complete the cross-country course as though they are putting on an exhibition. An admiring crowd greets them at the bottom of the ravine, the Australians and their horses have proved to one and all that they are amongst the best. Morgan’s sublime round puts him in position to take out the individual Gold medal; in fact he and Lavis are both in contention. Crago has disposed of his demons, which have haunted him since the previous Games, and except for Bill’s injuries, all has gone to plan. They can almost touch the Gold of the Team prize. Just when all the pieces were coming together, they were devastated at the end of the day when Sabre pulled up lame. There was no dispute, no question, no magic cure; he was gone. Crago was sick in the stomach and there is not a thing anyone can do. The game was over; the Team medal was gone. After all the work and adversity, it finished just like that. The men are devastated and Mairinger comforts Crago as best he can, but now he must look to the performances of his two remaining riders, both in contention for Olympic glory – not the ultimate goal, but still well and truly good enough to appease Samuel Horden’s doubters and bring glory to the effort. The day’s work was done and with nothing more to do to prepare for the next trial, the men turn their attention to Bill Roycroft. In a Rome hospital the following day, Mairinger, the Team and Gino are all sitting in the waiting room. The Head Surgeon, who has been involved in Roycroft’s treatment, approaches them. Gino leaves the group and sets off in search of a radio. The Olympic Team enters Bill’s room. He is awake and staring out of the window. On hearing them, he sits up, which causes pain. There is an awkward silence in the room. Roycroft senses something is wrong. Moments later Roycroft, wearing Gino’s clothes, is walking out of the hospital, surrounded by his Teammates. Surely in his state, Roycroft, though gallant, will not be able to do the job, but who are the Team to stand in his way? They all understand his position. Great and safe product, what’s not to like. A big shout out to bounce back fencing who have supplied materials for us to fence our new training arena and yards which are under construction at Cana farm. I love the product , it’s hard to imagine why you wouldn’t use it. It has the look of post and rail, is super easy to install, requires no maintenance and last much longer than timber. Not to mention it is safe for your horses. Every big stud knows how much damage young horses can do to themselves on post and rail no matter how careful you are. 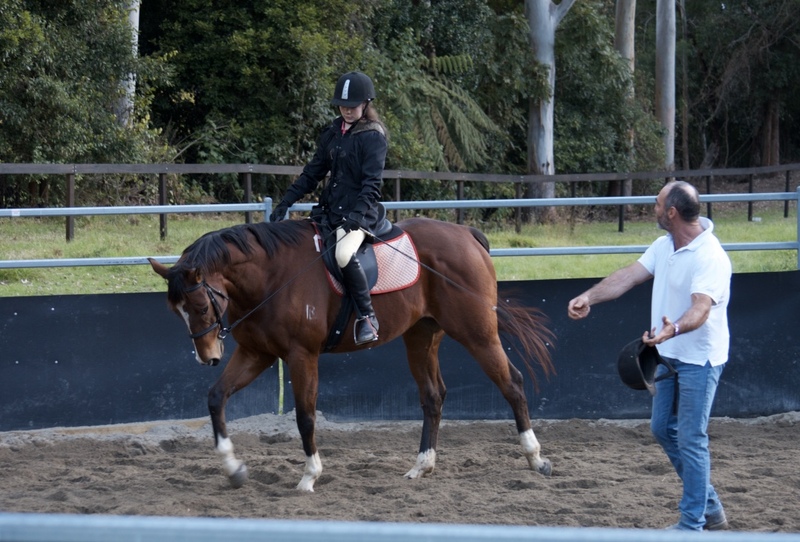 Its great to have bounce back as a supporter of the thoroughbred rehabilitation trust. It’s a credit to them to put back into the industry on which they survive. Part 19 Mirrabooka. Horseman of the southern cross. The Cross Country phase has begun with riders and horses suffering from the extreme heat and humidity of the Roman summer and most are making hard work of the course. The combinations at jumps 32, 33 and 34 late in the course, have been particularly punishing, after 26 riders, none had made the optimum time or gone around the course without jumping penalties. 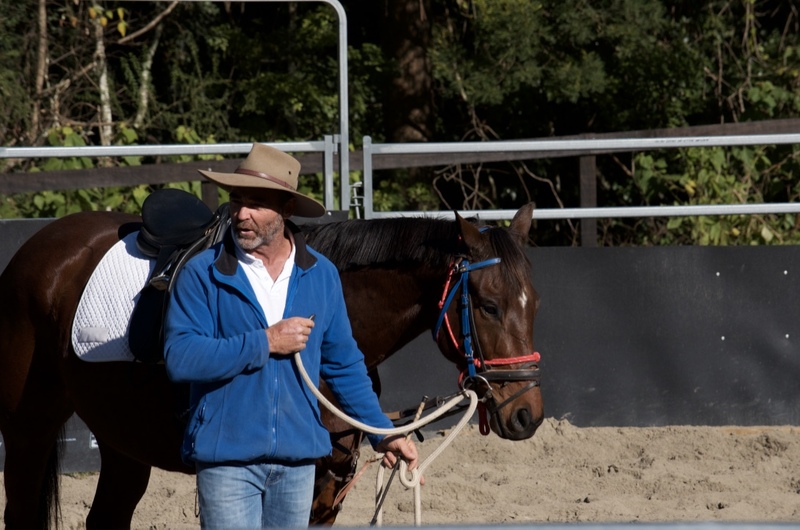 Crago is the 1st of the Australians to ride and he is totally focused on Sabre as he prepares for the trial ahead. It is a tense time for Crago, knowing he is about to undertake a manoeuvre that could potentially end in disaster. He has purposefully placed the breastplate supplied by Gino, and adjusted it on Sabre, as if in some sort of pre-gladiatorial ceremony. He adjusts and fastens each buckle, stopping to admire the Australian Coat of Arms carved into the solid looking piece of leather harness. Leather blinkers are placed over the Sabre’s eyes and he places as much leg protection on the horse as possible; knee guards, shin protectors and leather bell boots, and the tension grows with the fastening of each buckle. Crago puts on his helmet and as he adjusts it, time seems to slow down, it’s as though he is in a dream. Adrenalin can have this affect. He mounts Sabre and rides towards the Ten Second Box to await the countdown for the commencement of his ride. Once again, there is a gladiatorial feel to what he is about to undertake. Suddenly, he is brought back into focus. Back to real speed and sound as the Starter begins the ten second count. Sabre is on the toe; he marches on the spot ready to leap into action as soon as the order is given. His fingers tighten around the reins and he takes a handful of mane. Finally the starter counted down to “Zero” and with that, Crago and Sabre launched forward as though into battle. Jump one looms immediately. Jump one; never take it for granted. Many run-outs occur at Jump one through complacency. Approach every jump like it is the last one you will ever ride. Up and over, hit the ground galloping. Rhythm and tempo; don’t get too excited and burn out too early. Jump two, Jump three, Jump four. Long gallop to five; bank and lane combination. Upright two strides, up onto the bank, two strides, drop two strides another vertical. The gathered crowd cheer, Crago and Sabre are making light work of the course and there are only a couple of more jumps before Crago must place himself in the hands of destiny. Crago and Sabre seem to be in the air for an eternity then finally land on the almost vertical face of the ravine. After the initial drop of about ten feet through the air, the stony face of the ground shatters under the weight of the landing horse. He slides, sitting on his powerful haunches, then lunges forward and back into his galloping stride, still racing almost vertically down the slope. The undergrowth is thick and the track barely visible. Crago lowers his head so that his helmet will take the brunt of the impact from the lantana, then his head hits a branch and he is thrown backward, almost dislodging him from the saddle. He gives Sabre his head in order to allow him to negotiate the dangerous descent without interference from him. Branches and thick brush smash onto the strong, protective breastplate emblazoned with the Australian Coat of Arms. Branches are heavily buffeting Crago, but he continually bounces back to the task. Looking up from the bottom of the ravine, the bush can be seen to part as though it’s being cleared by a rolling bolder. The undergrowth looks to be an impenetrable hedge until suddenly Crago and Sabre crash through. They explode out of the dense bush and into the open of the lower section of the course. Behind them, a path has been partially cleared. The only person to witness this feat at the bottom of this ridge is Franz Mairinger, as all other spectators are gathered around the major jumps. He looks over to the rest of his Team who are preparing to start their rides and as their eyes meet, he points down to his saddlecloth and then points up to the Heavens in a salute to Sam horden. Crago is a mess and looks as though he has been in a fight. He is scratched and dirty, as is Sabre who has a cut on his front nearside fetlock, which has turned his white sock red; hopefully it is only superficial. The way has been paved. The door to the Holy Grail of a Team Gold medal has reopened and the Australians will fight to the death. part 18 Mirrabooka , horseman of the southern cross. The Australian equestrians stood on the edge of a precipice; ahead the opportunity to launch into greatness, to make their mark on Olympic history . The first ever properly prepared Australian Equestrian Team was about to take to the Olympic arena against the best horse people the world had to offer. The work had been done, there had been plenty of doubters, there had been adversity, all of which got them to this point and now the real battle begins. Franz handed the package to Laurie Morgan, who opened it to reveal four saddlecloths, embroidered with the Australian Coat of Arms. There was silence as the men looked at their new saddlecloths. They remembered the efforts of Samuel Horden and now in death, he had made one final comment with the kangaroo and the emu on the Coat of Arms, “never a backward step”. The first day of competition was the Dressage. All day long there was a line of competitors streaming in and out of the arenas all under the scrutiny of the Judges, none of whom were Australian. Dressage is an interesting sport. The rider and horse enter the arena they are naked in front of the judges there is no where to hide. On the cross country course one can take a jump unbalanced and almost fall off but not be penalised , with a good horse and plenty of heart a rider can fumble around the course and still go clear and fast. 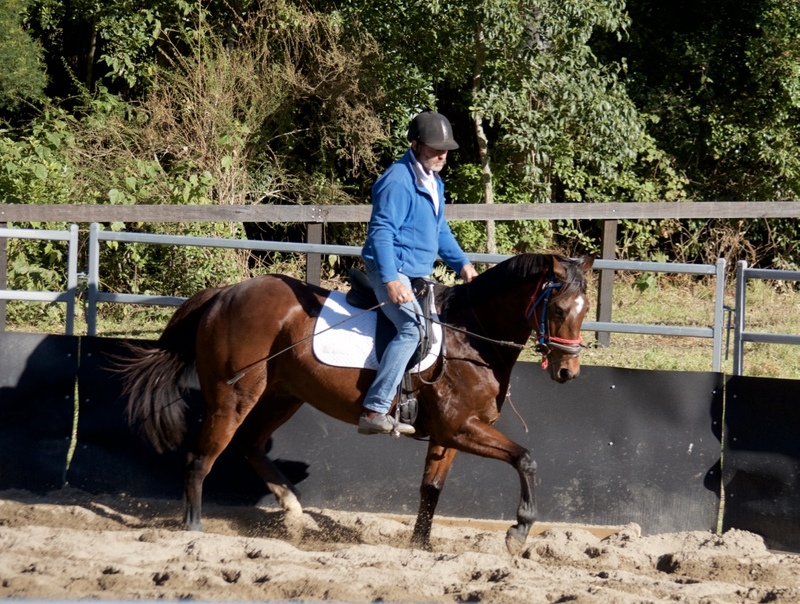 In the dressage arena no indiscretion is missed, in hack classes horses travel around in never ending circles when asked to canter off they do so in there own time in the dressage Arena accuracy is paramount canter at “a” means canter at “a” not an inch before not an inch after. 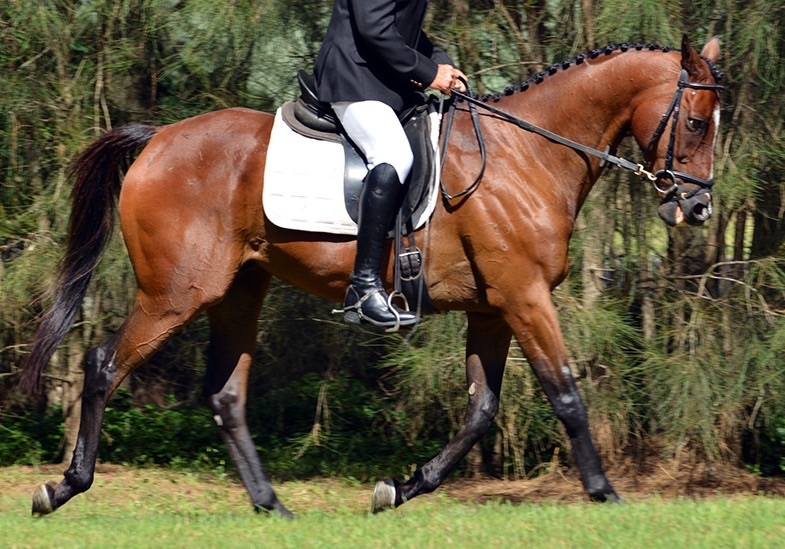 As a boxer enters the ring to put his work, his courage and his abilities on show for all to see so does a dressage rider every mistake is punished. There were some magnificent riders on big solid European horses with scopey movement. 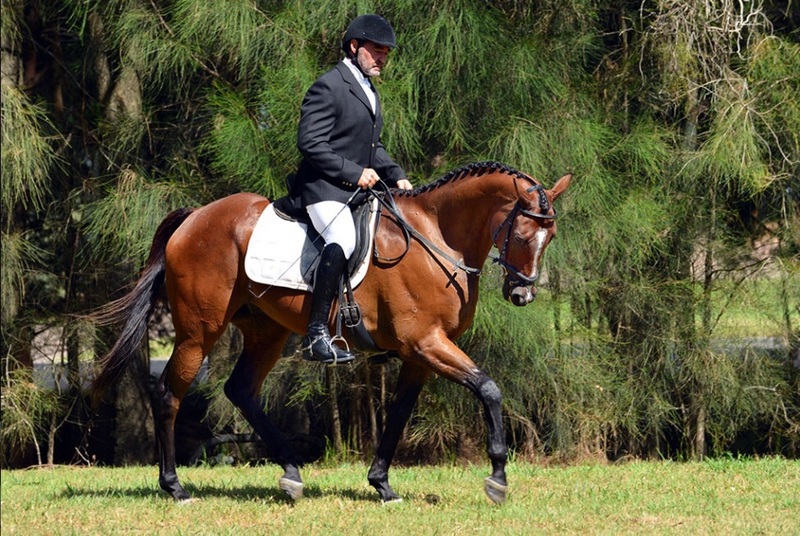 These were the Judges favourite types and they were unaccustomed to the light, sprightly athleticism of the Australian Thoroughbred, at the end of the day, they had judged what they were accustomed to. Even taking this into account, the Australians had done well finishing fourth overall in the Team standings. The intent was always to be in touch after the Dressage but were they close enough to pose a threat the next day? The French had been outstanding as was expected and had a solid lead. The Australian Team were gathered around a table with Mairinger at the head. In front of him were several papers with team information and points results of the day’s competition. The Team had come to terms with the awesome performance of the French and it was now out of their hands, they had all competed at their best, but in Dressage on the day, the French were exceptional. It was basically accepted that the Team Gold medal was out of reach. In the hot, humid Roman conditions, it was unlikely that riders would complete the course without time penalties, the Australians knew the Cross Country was their strength and they would give it everything, but under the conditions, it would now be about individual performance. The Team stopped their conversation and focused on Crago. “I wish there was a way Brian, but with the French’s performance today, their lead is unassailable. For us to be in contention for Gold, the French would need to falter and we would have to ride perfect rounds, fast and clear. With the conditions as they are and considering the technicality of the course, I believe we must focus on the individual standings, take the sensible option and preserve the horses for day three. At this point, you would all be considered a chance at an individual medal, I don’t see any option, it is the individual medals that we should focus on. The Australian Team once again stopped and focussed on Crago. All of the men were disappointed at the seemingly out-of-reach Team medal, none more than Team Captain, Laurie Morgan. “Brian, it’d be great if we could mate, but you heard what Franz said, it’d be bloody impossible and could stuff any of us getting a medal. Crago has committed to risking any kind of medal for the chance of putting the Team back in medal contention. Five years of preparation will rest on his shoulders as he throws caution to the wind. It is something he had to do. Part 17 Mirrabooka, horseman of the southern cross. Back in Sydney, Samuel Horden had just received the news of the success at Badminton. He was beaming as all their hard work and stress was coming to fruition and he could feel the joy. All there was to do now was to return to Rome and watch as the final act unfolded. His car was packed for he and his wife to leave for the airport. It would be a long trip and the anticipation was killing him. As they drove to the airport, they chatted about the trip ahead. Suddenly and without warning, a tyre burst and the car swerved violently despite Horden’s attempts to correct it. It was now sideways, the wheel dug into the road and the car flipped, rolling several times with its occupants flung about inside the vehicle like clothes in a washing machine. There were no seatbelts in 1960 and as the vehicle finally came to a halt, all was silent and that is how it would stay. Crago comments “Surely after Badminton it’s not those twits whingin’ about our funding again”. Mairinger opened the envelope and with a blank expression, fell back onto a chair. In a low tone, the wind taken out of him, he whispered, “It’s Sam Horden. He’s been killed”. Roycroft and Crago nod to each other and the Team walk out. 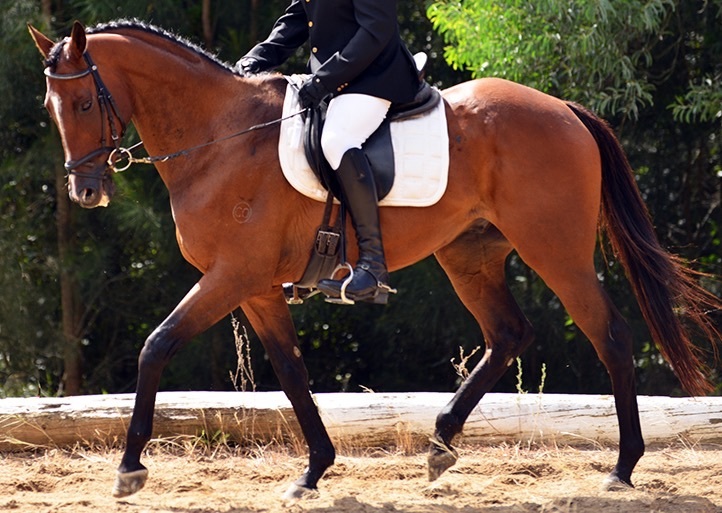 At the stables, Lavis mounted Mirrabooka for the first time in six weeks, he had trotted up well but how would he be under saddle? Like never a day had been lost, he walked then trotted off with no sign of lameness. Neil had done all he could and it appeared that Mirrabooka had responded. 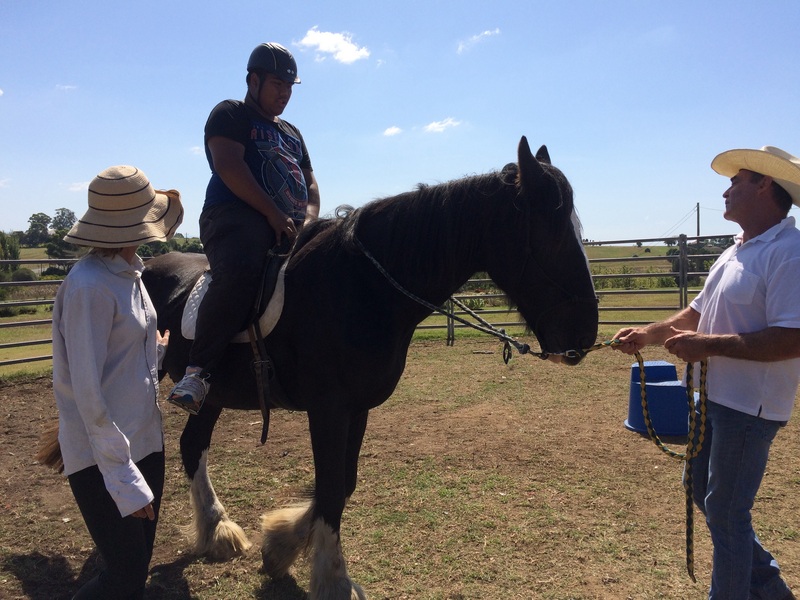 Neil gave him a light workout and then treated his fetlock. The real test would come with his first jumping efforts. The other men were riding, each working silently on their own. They owed so much to Samuel Horden; this was his baby. They worked on into the darkness their resolve once again strengthened by adversity. They must now knuckle down and finish the job that Sam had started five years earlier. The Australians were standing on the Olympic cross-country course. They were in the company of all the other teams that were to compete at the Games. An official course walk was being conducted by the Olympic Officials and the Olympic Course Builder was addressing the group. He had been invited to point out a few issues on the course in order to reduce confusion and avoid injury to horse and rider. “Gentlemen, this course is a highly technical one. Due to the hot conditions I would advise caution, avoid pushing your horses too hard. There are a number of potentially dangerous points that I will bring to your attention as we progress around the course. The riders and coaches were measuring and pacing out the striding of the various combinations of jumps. They inspected the obstacles from various angles and contemplated the various approach options available. The jump complexes were very impressive and beautifully built, with the course winding through picturesque forests and open parklands. At one point, the entire group was stopped, again being addressed by the Course Builder. To their right was a steep cliff-like drop off of about 40 metres. It was heavily wooded and apparently impassable. The Course Builder indicated towards the cliff, “Gentlemen, this is one of the more dangerous sections of the course which I mentioned earlier. The edges of this ravine are unstable. You will be required to ride out in that direction.” He indicated forward along the top of the ravine, where a safe, wide track stretched out for about 300 metres in front of the group. “At the end of this track you will make a U turn to the right which will bring you back onto the lower section of the course.” He pointed down the ravine through the trees where jumps could be seen in the distance. “Of course you can take this option.” He then indicated down the treacherous looking cliff, which was the beginning of the near vertical face to the right. The group of riders and officials laughed heartily at this apparently ridiculous suggestion and continued on with the inspection of the course. The course inspection was complete and the various teams and coaches were milling around discussing various technical points in relation to the course. Mairinger had become accustomed to this ritual of walking the course backward, which had worked well throughout their campaign, today was not the day to change a winning routine. The Australians walked the course in reverse and there were no other competitors to be seen. As they retraced their tracks, they were stopped by the sound of a strange clanging noise. An old Italian man appeared from behind a line of bushes. He was on his return from a local market leading his donkey, which was laden down with an assortment of pots and pans. The old man acknowledged the Australians with a tip of his hat and continued across the course in front of them. To the astonishment of the Australians, he proceeded to the previously uncontemplated ravine where he and his donkey were seen to scramble down the steep face, at times the donkey sat on his backside in order to negotiate the sheer descent to the lower section of the course where he then continued on his way. The Australians had watched this in silence. Lavis, looked down the face of the ravine, and at the expense of the donkey man, put on a deep theatrical voice and began to recite a line from the famous poem by Banjo Patterson, The Man from Snowy River. And with that, the Australians continued walking the course.